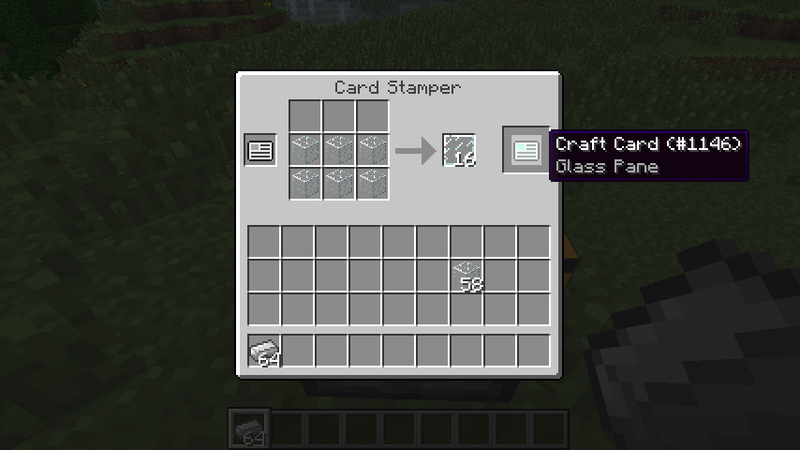 Craft cards is a very simple mod that adds simple items called Craft Cards. By themselves, they aren’t very special. However, when used on the handy Card Stamper, you can encode recipes onto them. Once a recipe is encoded, just have the right materials in your inventory and right click with the card in hand. It will instantly craft the item using the items in your inventory without the need of a work bench. 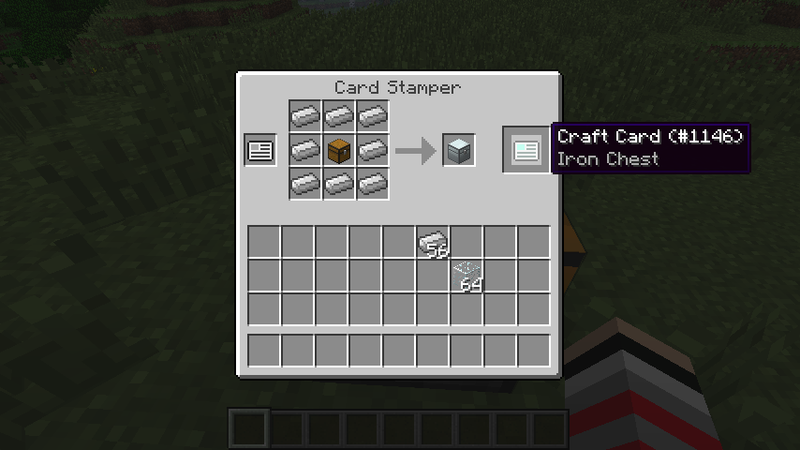 Simply put, you place a blank Craft Card in the slot on the far left, then use the crafting Grid to give it a recipes. The new encoded card will appear on the far right side and should also have the name of the item you will eventually craft. Once you have your Craft Card, simply have the required items for the recipe in your inventory and right-click with the card in hand. The card will, however, be consumed in the process. If you have a card you didn’t use or would no longer want a certain recipe encoded on it, simply throw the encoded card in any crafting grid to retrieve a fresh new card again! If you want to keep those extra cards, craft yourself a card bag and take them with you an a convenient storage bag. The main item of the mod. Use it to store your cards on the go. A special Crafting Table that is used in conjunction to the Craft Card. Also doubles as a crafting table that doesn’t drop your items when you exit it.